The Egyptian Ambassador to Nigeria, Amb. 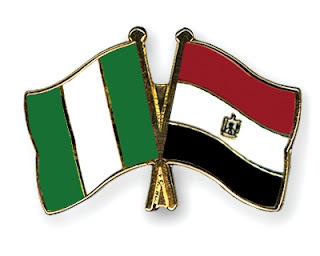 Ashraf Salama, has called for strong collaboration between Nigeria and Egypt to achieve development in Africa. Salama made the call in Abuja on Monday at a ceremony to mark Egypt’s 64th national day. According to him, Egypt and Nigeria remain strategic partners in Africa’s development. He said both countries could help develop Africa by “setting up a solid example for inter –Africa relations” and also serve as a model of African cooperation and integration. The envoy, however, urged African leaders to explore new horizons with a view to achieving better welfare for the peoples of the continent. Al Sisi, and said it was healthy for African unity. Speaking, the Minister of State for Foreign Affairs, Hajiya Khadija Abba, lauded the cordial relationship between the two countries. Abba said both countries had shared common interests since 1962. She expressed Nigeria’s gratitude to Egypt for its support in the fight against terror as well as donating relief items to internally displaced persons in the country. The event was attended by members of the diplomatic and captains of industry.